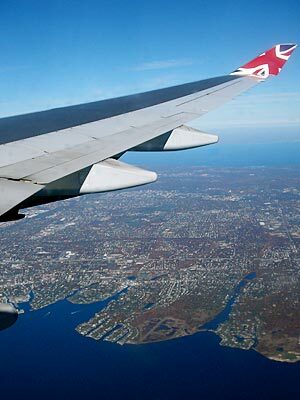 On a beautifully crisp Autumn afternoon, our Virgin Airways flight starts its descent into JFK airport. It was good to finally get back to New York - my trip booked in February had to be cancelled a day before I was due to fly out after I caught the worst case of flu I'd ever had. I couldn't get out of bed for four days!